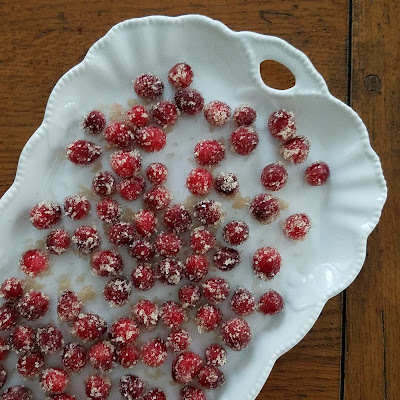 Don't be surprised if sugared cranberries appear on everything I make from now on! 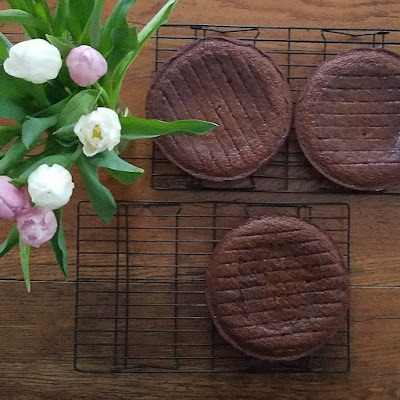 My sister, Kate, and I have cooked up a challenge for 2018: a bake-a-long with one cake per month. We'll often be trying out the same recipes, but want to leave room for some deviation. We'd love it if you'd join us! We've created the hashtag, #adozencakesin2018 to keep track of everyone on social media. 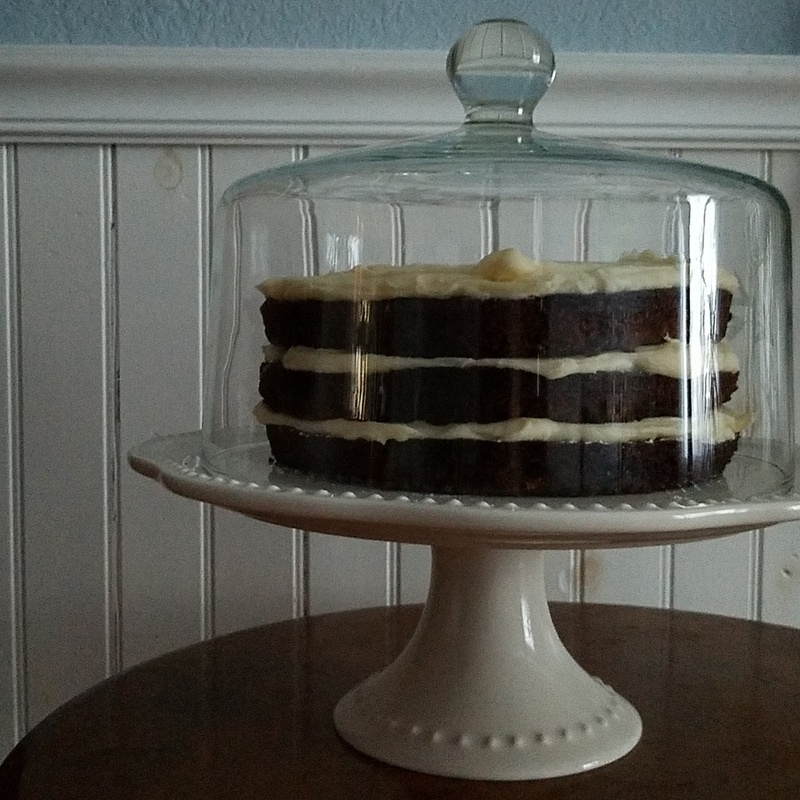 January's cake was a three-layer gingerbread confection using the recipe from Smitten Kitchen. 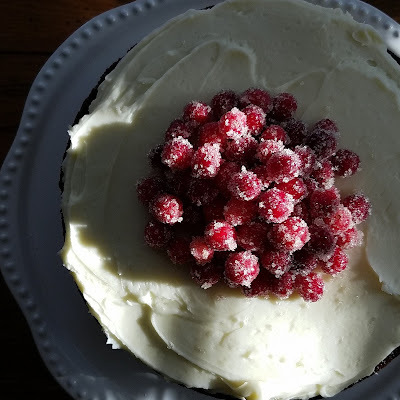 I followed the recipe for the cake and sugared cranberries exactly, but ended up making cream cheese frosting for the cake instead of the mascarpone Deb calls for. I brought this cake to coffee hour, but was able to smuggle home a few slices for home and my husband declared it "the best cake I have ever made!" High praise! I'm already looking forward to next month's cake!